El Dorado International Airport is an important gateway for trade in Latin America. El Dorado International Airport has two asphalt paved runways. Image courtesy of Dmcdevit. El Dorado International Airport recorded more than 470,000 aircraft movements in 2016. Image courtesy of Danygc. El Dorado International Airport is one of the top 100 busiest airports in the world. It is located 15km west of the city centre of Bogota in Colombia, South America. It is an important gateway for trade in Latin America. It has a landing field of 1,700 acres, the third largest in the world. It was built in the 1950s. Operadora Aeroportuaria Internacional (OPAIN) has been the operator of the airport since February 2007. OPAIN is a consortium of Flughafen Zürich and a number of Colombian engineering and construction companies. The airport served 31 million passengers and recorded more than 470,000 aircraft movements during 2016. It handled more than 700,000t of cargo through the year, which made it the busiest airport in Latin America in terms of cargo movements. Airport facilities have been reconstructed as part of a major renovation project to increase passenger-handling capacity and improve the airport’s operational efficiency. The renovation was completed in December 2017. El Dorado International Airport’s master plan was last updated in 2001. 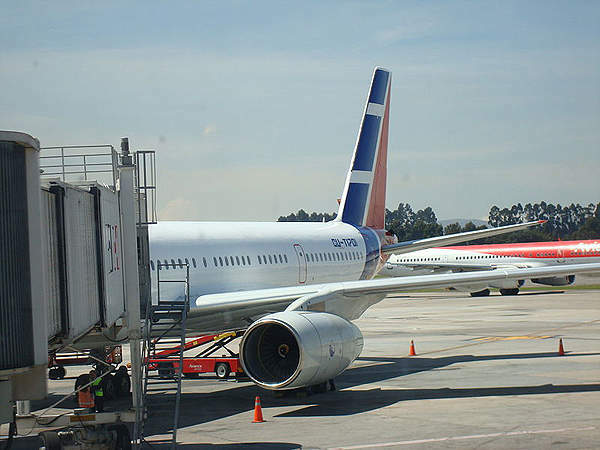 Civil Aeronautics of Colombia, also known as Aerocivil, initiated a further update of the airport’s master plan in 2011. T.Y. Lin International was selected to provide technical assistance for the master plan update in December 2011. The US Trade and Development Agency (TDA) granted $891,000 to meet the cost of the technical assistance contract. The airport has two passenger terminals named El Dorado and Puente Aéreo. 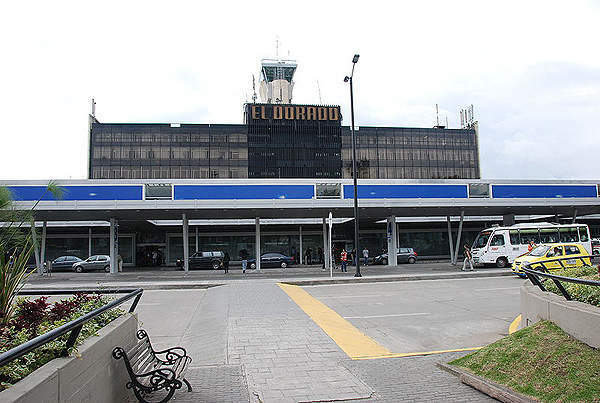 The El Dorado terminal is the main terminal, with an area of 5,000m². It has numerous passenger facilities, such as restaurants, bookstores, craft shops, duty-free shops, ATMs, travel agencies and so on. The building has two concourses – one for international flights and another for domestic flights. The domestic concourse contains 16 gates, of which five are reserved for regional fights. The international concourse has nine gates. The terminal’s lower level accommodates ticket counters, check-in counters, an immigration office and customs. The upper level features waiting rooms, immigration, information offices and information boards. The central arrivals hall of the terminal was expanded and a common use terminal equipment (CUTE) system was installed to integrate the airport’s database platforms and technologies by March 2008. The CUTE system from SITA helps passengers avoid long service lines at check-in. With a passenger area of 410.3m², the Puente Aéreo terminal was built by Avianca in 1981. The terminal currently handles around 120 flights a day and 4.4 million passengers annually. Avianca Airlines planned a $7.5m temporary renovation for the terminal building in 2006. The OPAIN consortium initiated a major $650m upgrade programme at the airport in 2007 to expand the passenger handling capacity. Construction of a new office building for civil aviation, a fire station, an administrative centre and quarantine were completed by September 2009. Several structural defects were discovered, however, during the renovation work. It was therefore decided to demolish and rebuild the airport. The government initially opposed the demolition, but after surveys were conducted they approved the proposal. Construction of the new airport was planned in four phases. As part of phase one, a 7,000m2 cargo terminal was built to the north of the existing cargo terminal to replace the latter. Construction work began in November 2009. The new terminal provides easy access for trucks and has 26 parking spaces for planes. Phase two involved the construction of part of the new international terminal. Phase three included demolition of the existing international terminal building and relocation of the airline operations to the newly built terminal. The remaining part of the new international terminal was completed in the fourth phase. The whole project was completed in 2017. The new terminal has 36 gates, commercial and duty-free spaces, immigration facilities, offices and airport support spaces. The Inter-American Development Bank (IDB) provided a $165m loan for the renovation of the airport in December 2010. Crisplant installed automated baggage handling systems at the airport. The first phase of installation was completed in 2012, and the whole installation was completed in 2013. The airport has two runways, 13L/31R and 13R/31L. 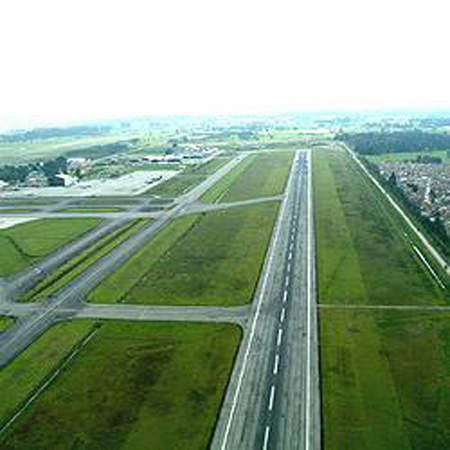 Both runways are 3,800m-long and are paved with asphalt. The new international terminal was designed by Zyscovich. Alpha Construction was chosen to provide project management services for the expansion. Motta Internacional was awarded a duty-free concession at the new terminal. AERTEC Solutions provides bespoke engineering and consultancy services to the air transport sector to help airports deliver an improved visitor experience. SITA is the world's leading service-provider of integrated IT business solutions and communication services for the air transport industry. They manage complex solutions for air transport, government and GDS customers over the world's most extensive network, complemented by consultancy in the design, deployment and integration of communication services.